All LA CONTESSA SECOND AMD homes currently listed for sale in Scottsdale as of 04/23/2019 are shown below. You can change the search criteria at any time by pressing the 'Change Search' button below. "Beautifully updated 2 bedroom, 2 bath condo with vessel sinks, vaulted ceilings, newer cabinets, kitchen open to living area, newer flooring, stainless steel appliances, new microwave, custom stained concrete countertops, tile backsplash, A/C -heat pump, hot water heater all done in 2012. Plus a large finished attic storage with easy pull-down stairs. Skylight, fireplace, 2 balaconies. Newer washer and dryer included. 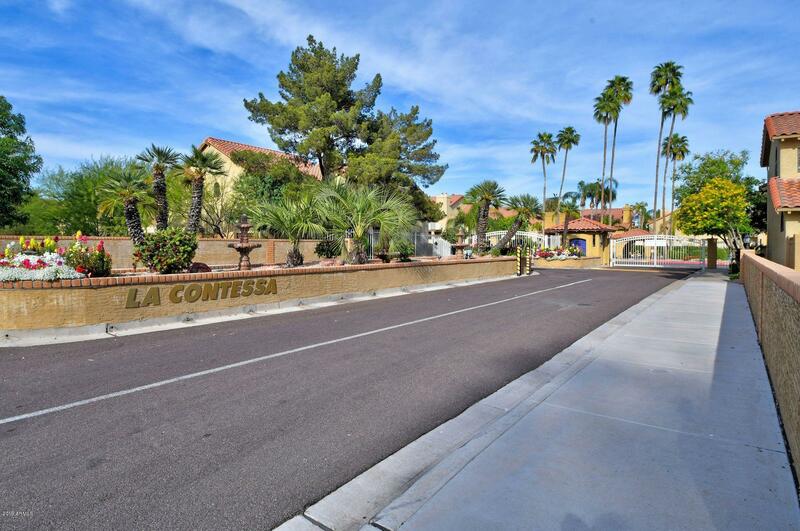 Located in the heart of Scottsdale in the resort style gated La Contessa commu"